Teaching young students how to identify and communicate their complex array of emotions is a part of the primary teacher's role. This is a great lesson to build classroom community and to teach self control and self expression. It also integrates reading, writing and a little math (drawing triangles). It's a wonderful lesson to teach in the fall or whenever you find your students need a reminder of how to express themselves. Even though it is made with a pumpkin here, it could easily be done with any of the vegetables in the "How Are You Peeling?" book. 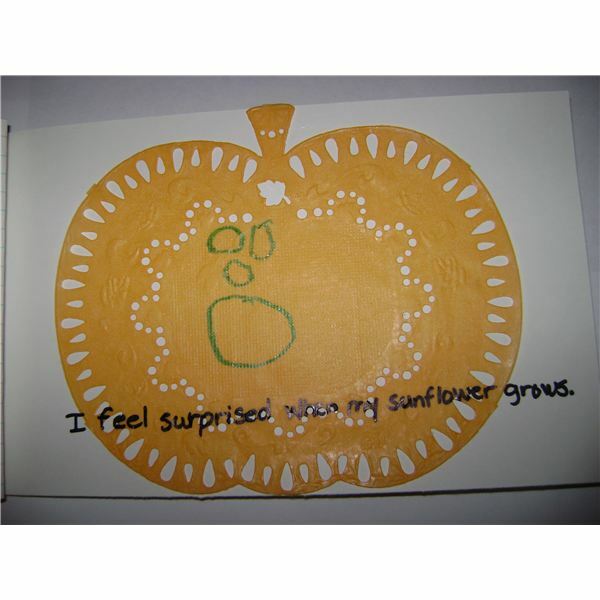 Create little pumpkin books ahead of time for each student. 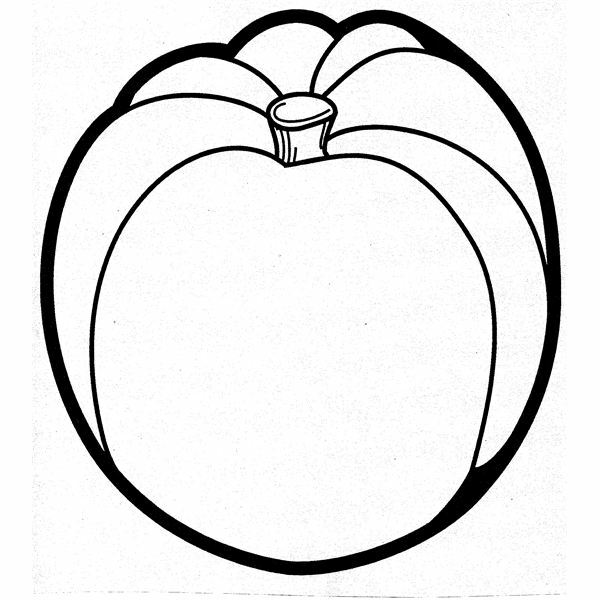 Trace a pumpkin pattern (example below) for at least four or five pages of feelings per student. Draw a black line on the front cover of the book for the student's name. The front cover (title) will read _____________'s Pumpkin Feeling Book. Staple the pages together. Provide students with an example of a situation that occurred within the class that evoked a feeling within you. Provide the students with an example of how happy you were when they received a compliment in the hallway, or how sad you felt when a beloved book was torn. Choose to do this daily with the students to model to them how to express their feelings. Read, How Are You Peeling. This is a delightful rhyming book to help young children identify different emotions. The fruit and vegetables are the "characters". 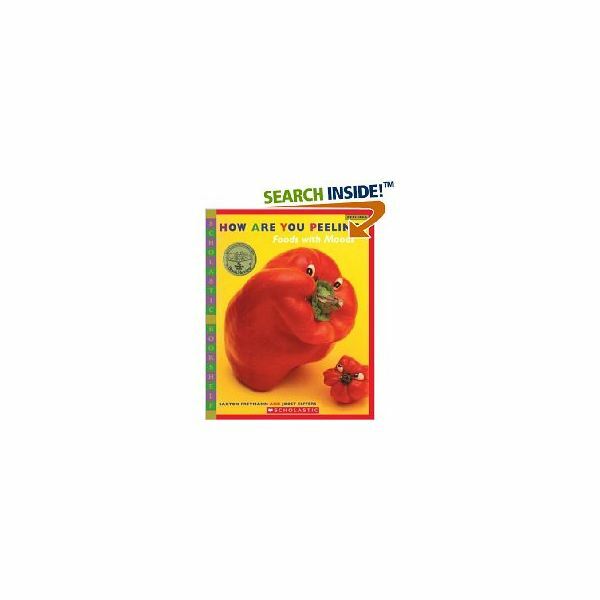 The fruit and vegetables go through stages of happiness, fear, sadness, anger, jealousy and so on throughout the book. The expressions on the fruit or vegetable “face" describe the feeling. After the first reading, write the words neat and large enough for the student's to read from their desks on chart paper. Draw a picture next to the word for picture support for early readers. They will need to refer to the chart when they make their feeling books. Choose some children to role play. Provide them with a possible scenario of a classroom event and have them express their feelings. Next have them speak the words that typify the feeling. For example, "I feel angry when you take the book away from me." Have another student say, "Can we share?" On each pumpkin have the students draw (and color) two black triangles for eyes and one for the nose. The mouth of the pumpkin will show the feeling. For example, a frown will be an upside down curve. Place a black line at the bottom of each page for the students to write the sentence, describing the pumpkin's feeling. This can be accomplished in two ways, the first is to write a sentence starter, I feel ___________, on each page for the students and they complete the sentence, or provide only the word feel, __________ feel ____________. Students write the word "I" on the first line and the feeling on the last line. Check to see that students can follow directions. Are students using the chart to find the correct spelling of the feeling word? Do the feeling and the word match on the page? Can students reread the book back to you? Neatness and carefulness are always expected. Take the time to read each student's book aloud to the class. This will be very rewarding to the children and affirm their feelings! I was fortunate to find pumpkin doilies at the dollar store this year to make a rough copy of the book, which I completed with a Prekindergarten student for the sake of example. Enjoy! This article, written from my classroom experience, will help your students to express their feelings if it is modeled frequently. You are giving them the tools to build good relationships.